I am considering raising rabbits to feed to my dogs as a raw diet. Does anyone have experience with this? 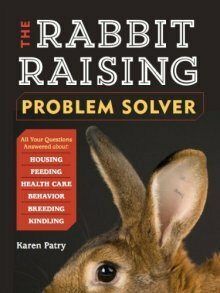 Do you dress the rabbits before feeding? Yes, we and many others certainly have experience with this. We know several persons who feed exclusively raw to their (several or many) dogs, and raise rabbits in order to do so. I also feed my cats raw. Another option is to gut and skin the rabbit, and then feed the meat, bones, and organs (heart, lungs, liver, kidneys). The balance of nutrients between bones, meat and organs is just as excellent for health as whole prey meals are. Pets making the transition from kibble to raw-fed sometimes need help. I don't know a kibble-eating dog that won't accept a hunk of raw meat. But they might initially be off-put by fur, or an enclosed head, for example. I suspect that all the above methods can be used in conjunction with each other, or one after another in order to transition to a whole prey model of feeding.